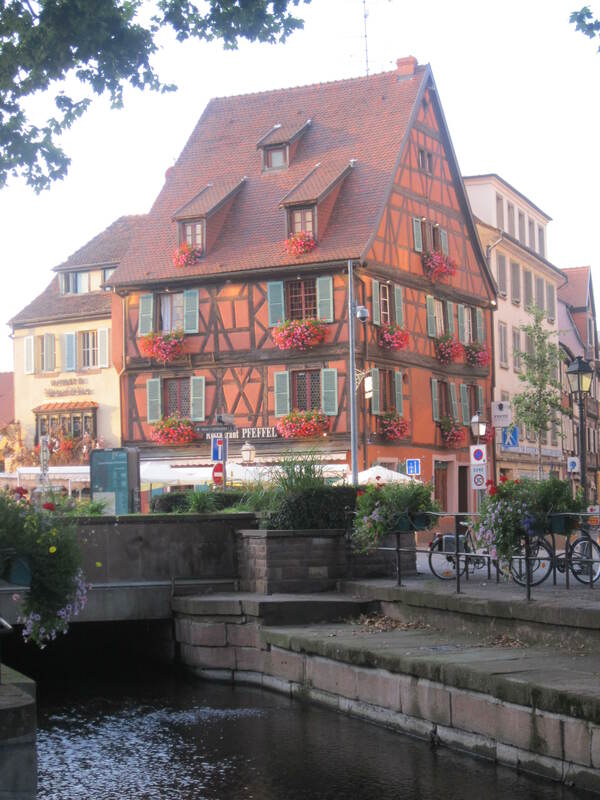 Since Strasbourg is only about 6 kms from the French/German border, we went over to Kehl for lunch and a spot of shopping, after checking out of our hotel. Of course, because of the EU, passports are not necessary when travelling through Europe. Drive over the bridge and there you are. For me, it takes some of the excitement and adventure away from the experience, but is certainly simpler. Customs operate if you have something to declare. Beer is not an issue apparently, particularly in personal consumption quantities. We bought beer, with Dutchy and Leslye in heaven with the varieties. I found some Mumm crémant for a reasonable price. I seem to remember that being a fairly fancy name in the world of sparkling wine. Selections made, we set out to find lunch. 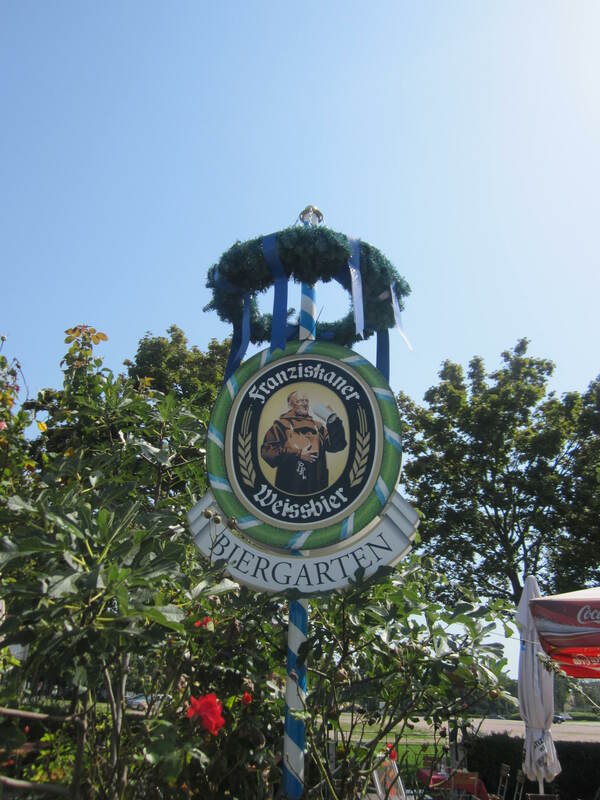 Impressed with the prices of everything, we lunched at Blondy’s Biergarten. Food, beer and other supplies obviously don’t attract the same exorbitant taxes etc of many other countries, including Australia. We shared some plates of food; potato croquettes, spatlze (a traditional pasta that we wouldn’t bother trying again), schnitzel and a sausage that we thought was the currywurst but we read wrong as that was a different item. Anyway, beer was the main attraction for certain people! 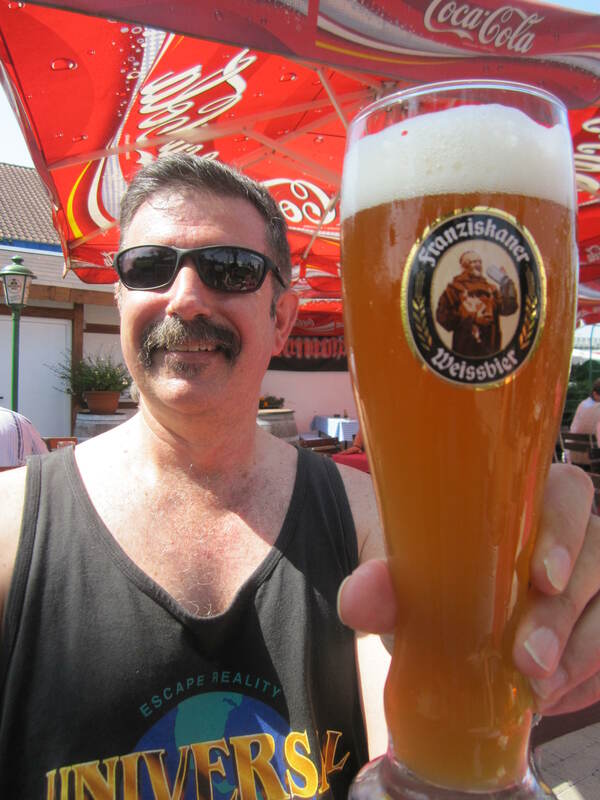 Ketterer Bier – A light golden brew with a smooth flavour of light maple syrup – These beers are too easy to drink and far too cheap compared to home. After lunch Leslye suggested visiting a store called DM, a veritable haven of personal care products for very reasonable prices. We had left Dutchy out in the heat near the car with our “We’ll only be ten minutes” catchphrase. When we finally returned I said to him, “I know, ten minutes my arse”. He said he had been just about to send an sms with that very phrase. 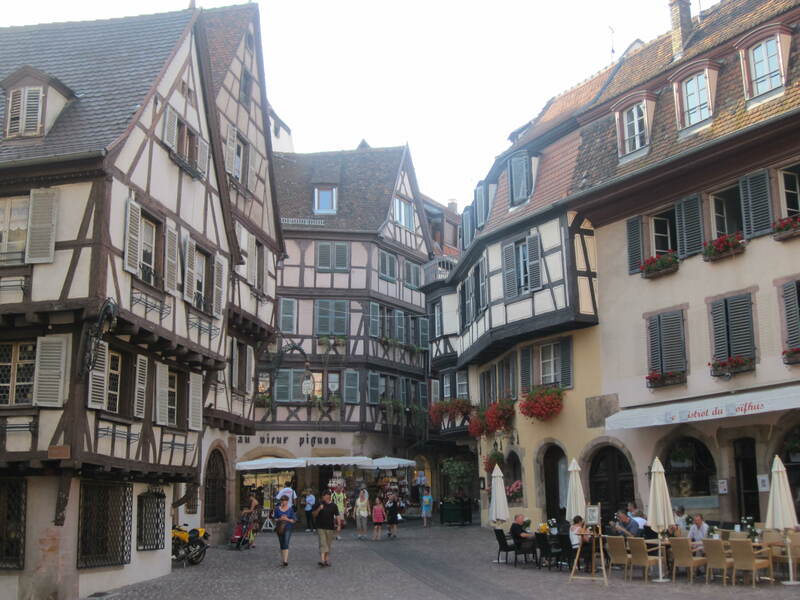 We somehow had managed to fit the four of us and our extensive luggage in the small car, and set off to Colmar, with its particular architecture, reminiscent of some Tudor Village buildings in England. Again, the weather was extremely warm, so sunscreen and hats helped after we had checked into the hotel for the night. Murphy’s Stout – Black Bubbly brew with a light non-creamy head. A typical stout scent but a light easy drink with a slight licorice flavour – one is enough for me. Often, when looking for places to eat, we would walk around the town comparing prices and availability of specialities of the area. The only trouble is sometimes if you start looking when you are already hungry, by the time you find somewhere and order you are nearly starving! We ended up deciding that evening to have a picnic in the park, as the one restaurant we had planned to go back to was closed! Baguettes, cheese, pâté and tomatoes were purchased from the supermarket and enjoyed by all, washed down with some Makers Mark Bourbon and Coke Zero. I also had a raspberry (framboise) cake that looked better than it tasted. Breakfast the following morning at Le Fournil de Louis, a patisserie just a short walk from the hotel, was a very pleasant affair, where we enjoyed a “formule” or set menu, setting us up nicely for the long journey to Lyon. 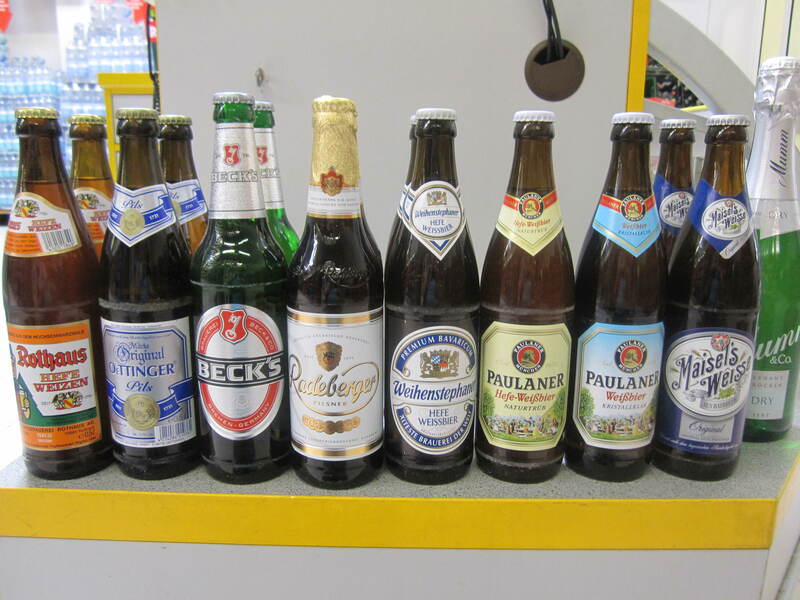 This entry was posted in Uncategorized and tagged Colmar, German beer, Kehl. Bookmark the permalink.